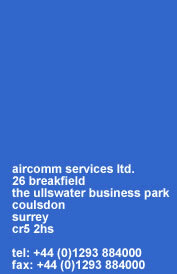 Aircomm Services Limited are one of the leading providers of planned preventative and emergency maintenance in the commercial and retail market place. We know that a programme of professionally planned maintenance for building services pays large dividends in terms of performance, staff comfort and cost. We pride ourselves on being able to tailor each maintenance contract to suit the needs of each client and their budget. Operating from offices throughout the country, we are able to cater for all maintenance requirements.